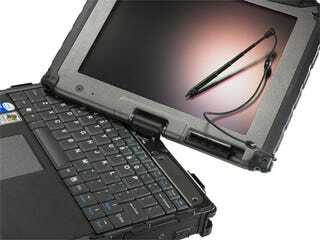 Getec's V100 is a tough laptop, a really tough laptop. You won't have to rely on some pathetic drop-sensor to protect this machine. In fact, you probably have to throw it down the stairs just to boot it up. It's built as a military machine, but we lucky civilians can get now one, too.